The more we toss and turn this Android P developer preview, the more we discover new things we missed from the first go. 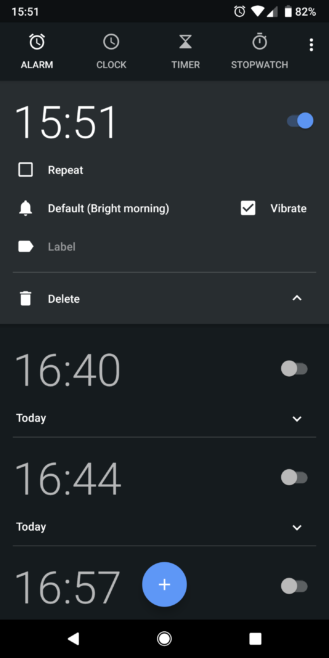 Take this Alarm quick setting toggle for example. We hadn't spotted it at all until tipster Jordi brought it to our attention. And just like the Night Mode quick setting, it has a bit more info below it. 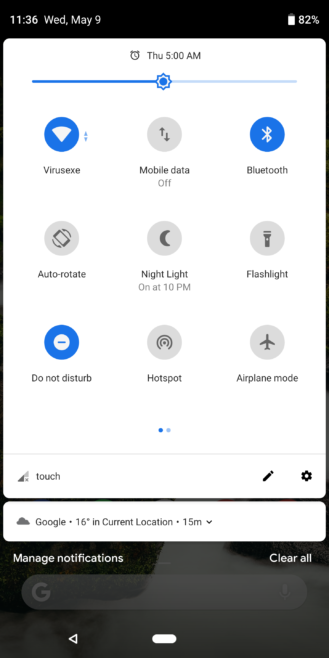 The new Alarm quick setting toggle exists in two states: off and on. Off is when there's no upcoming scheduled alarm, and in that case tapping it does nothing. 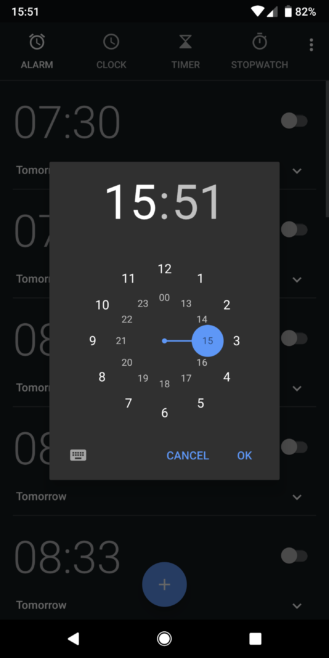 But tapping and holding immediately brings up the screen to set up a new alarm. On is when there's already an upcoming alarm, and that's where you see the time it's supposed to ring. 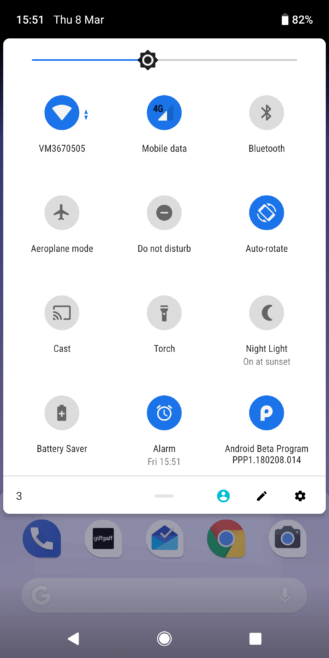 In this case, tapping it opens the Alarm screen so you can modify it, whereas tapping and holding still opens up the new alarm menu. Many third-party quick setting apps already let you add an alarm toggle, but having the option built-in makes it accessible to everyone. Plus it's so handy. The Alarm quick setting icon (which was more a shortcut than a toggle) is now gone in Android P Developer Preview 2. There's no telling if it'll be back in the next update. But don't worry, you can still tell when the next alarm is set for by dropping the Quick Settings. Now there's a line above the first toggles and brightness slider that shows the time of the next alarm.